Held in Cologne, Germany every year, GamesCom is the world's largest games convention - an arena through which both the press and public can go hands on with the latest games and gaming technology. Taking place over five days, the show plays host to announcements and reveals from games publishers and developers of all sizes. As with previous years, we're out there on the show floor, bringing you all the latest scoops and hands-on impressions from the pre-show announcements through to the wrap-ups on the final day. This year, we'll be getting our hands on with everything from upcoming PC cult hits like World of Warplanes through to mega-blockbusters to be, like Bethesda's Dishonored or Electronic Arts' Mass Effect 3. 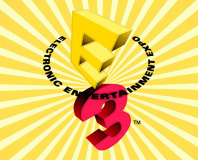 This article is a hub for all our E3 2011 news, previews, rumours and media. We'll update it constantly with new links and announcements, so be sure to keep checking back to make sure you don't miss anything! GamesCom 2011 might not have kicked off just quite yet, but the pre-show press conferences are already in full swing. Plus, there's always the occasional leak or rumour doing the rounds! GamesCom 2011 is now fully, finally underway with the first day of the event open to press only. We'll be paying visits to our favourite developers and publishers, as well as heading out to swanky after-parties - stopping only to bring you the latest news. As the show reaches its peak, we'll be paying dropping in on some of the most exciting developments to be found just off the beaten path, as well as spending some time with technology giants like AMD and Nvidia. Was Skyrim ever going to use Games For Windows Live? Our final day at the show, we'll be cramming in some last minute meetings and discussions with those developers and publishers we just can't say 'No' to, before running off to catch a last minute flight back to Blighty. We'll also be wrapping up our thoughts on the show as a whole. Remember to stay tuned to the News and Trailers page to keep on top of all the latest gaming news. You can also follow @bit_gamer on Twitter or like Bit-Gamer's Facebook page to keep up via your social network of choice. John Robertson takes us through the highlights of The Tokyo Game Show 2013. Overwhelmed by the wealth of news coming out of E3 2011? Good job we're rounding it up then! 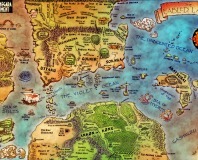 Continuing UK Games Week, Joe looks at one British game which never made it to shelves - an Eidos MMO based on the Fabled Lands gamebooks. With help from the team we learn how the game got stuck in development hell and what the finished game might have been like.